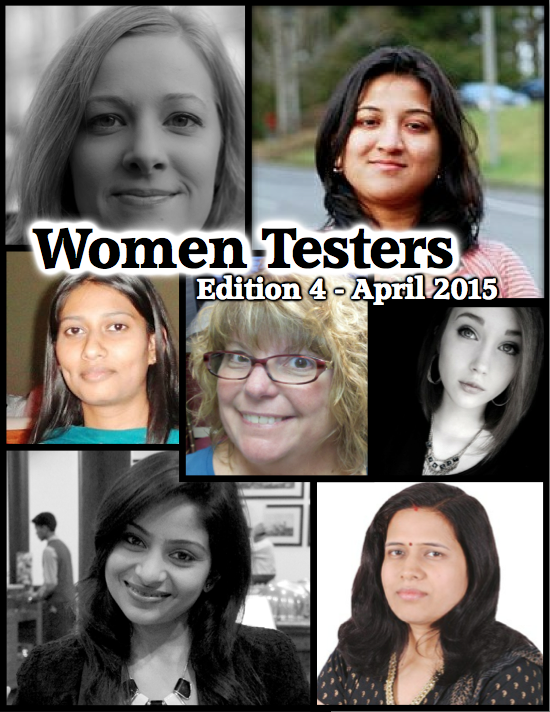 First off, I wanted to say thank you to "Women Testers" for including a guest article that Amber and I wrote together. It was about how she prefers to work with me when it comes to learning about programming and testing. 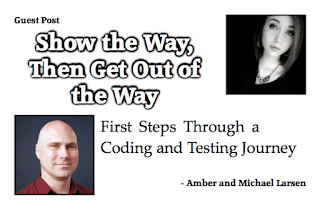 If you would like to check that article out, you can download the latest edition of “Women Testers” and look for "Show the Way, Then Get Out of the Way”. With this article in mind, I offer the following update. Since I want to encourage Amber to write more and share her own thoughts and ideas, we will continue with writing joint blog posts like this one under the tag “Larsen Twins” (because silly and a little fun and why not ;)?). Amber and I have been looking through a number of books and online materials to help her understand coding and testing concepts. One of the areas that I thought would be tricky to explain or focus on would be the ideas behind computation. A book that I recently reviewed and that I found helpful is called “Lauren Ipsum”, and I personally thought it was cute and engaging in explaining topics I’d learned the hard way. 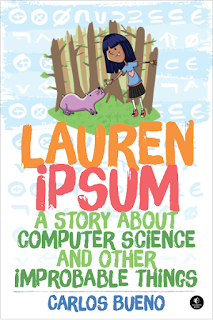 I was excited to have Amber read this book and tell me what she thought of it. Seeing as I have been revamping the SummerQAmp materials, I have been trying to think how I could make it more fun, more relatable, and help explain some of the ideas in a less wonky way to kids. Amber just gave me an interesting piece of reality to consider. Many kids my daughter’s age have been interacting with technology their whole lives. As such, they have become attuned to getting the information they need quickly and directly. The idea of a story to give them the ideas and concepts doesn’t really appeal to her; she wants the straight stuff. “It may just be me, but I think I do better when I am shown an idea, and then given some ways to play with it and figure it out. 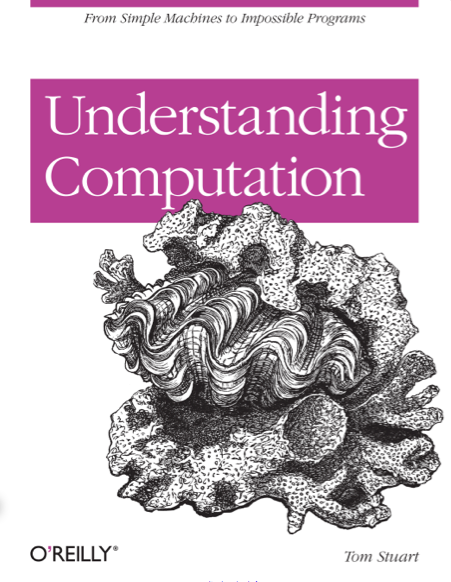 I will admit, I thought the chapter on recursion was cute, and that helped me understand the idea a bit, but I still don’t feel like I fully ‘get it’. I’ll have to actually use it to see it in action to really feel like I understand it”. After pondering this for awhile, I remembered I had another book in my Tsundoku pile; “Understanding Computation” by Tom Stuart. Now that sounds promising! I think this just moved its way to the top of my pile :). 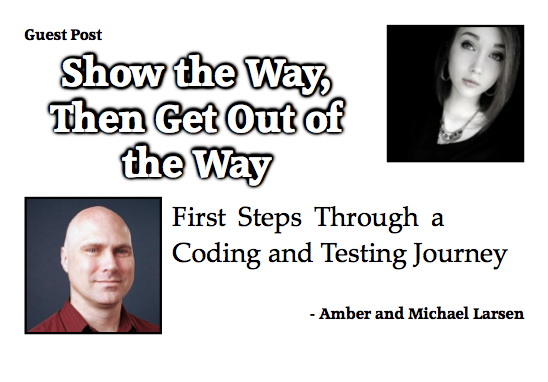 Amber is an excellent case study for my own ideas about teaching and how to teach, because she throws me curveballs. For a girl that loves “kawaii”, the cute and entertaining in her everyday life, she can be decidedly “hard boiled” in her other pursuits. Perhaps David Grohl of the Foo Fighters sums it up best… “don’t bore us, get to the chorus”. We’ll see if Understanding Computation will help us do that. More to come, stay tuned :). I've kept the advertising on the site to a minimum over the years, but there are a few publishers who have been super kind to me, and have given me many free titles to review. Truth be told, I have so many titles, I could do a book review a week and not run out of books for a couple of years at this point. Packt Publishing in the UK is one of those companies that has given me much. Therefore, when they do something that I deem could be helpful to the broader community, I feel it appropriate to draw attention to it. What is Packt up to this time? They are giving away a free eBook each day. Update: Packt has confirmed that this promotion is ongoing. It's back! And this time for good. 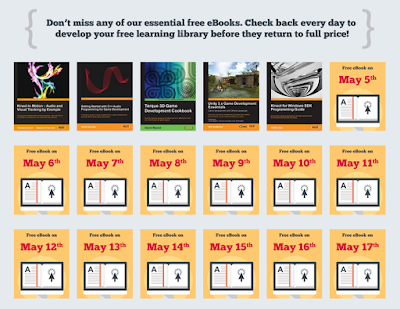 Following on from the huge success of our Free Learning campaign, we've decided to open up our free library to you permanently, with better titles than ever -- from today you can claim a free eBook every day here. 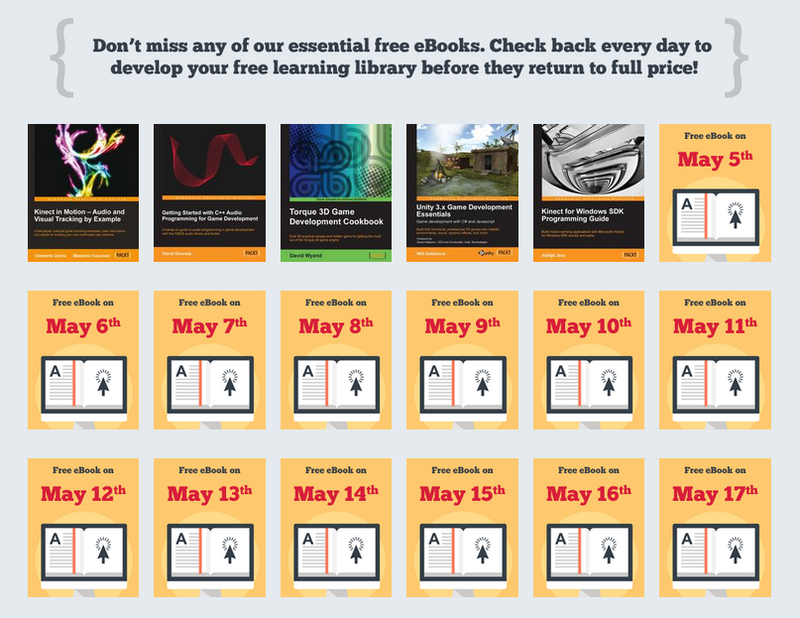 Each eBook will only be free for 24 hours, so make sure you come back every day to grab your Free Learning fix! From AngularJS to Zabbix, we'll be featuring a diverse range of titles from our extensive library, so don't miss out on this amazing opportunity to develop some new skills and try out new tech. Judging from the image above, it looks like this promotion is running through May 17th, but if I'm reading correctly up above, their plan is to offer a free book every day indefinitely (update: yes, it's going to be a perpetual promotion). To be clear, one book is available each day, from 12:00 a.m. to 11:59p.m. GMT. If, like me, you are jonesing to add to your Tsundoku, here's another opportunity to do exactly that :). Ever Had Your Screen Talk Back To You? As many TESTHEAD readers will notice, I've been on a tear with regard to Accessibility this year. It's become my monomaniacal focus, and I've entered a semi-crazy co-dependent relationship on this topic with Albert Gareev. It's been a lot of fun talking about and focusing on this topic the past few months, as each time I think I understand what's happening and how we can do better, I learn something more that shows me just how far we have to go. I remember back during STP-CON at the beginning of April witnessing an "A-Ha" moment for a roomful of people. that moment was when I asked the attendees in my session to open their laptops if they had them, or other devices, and turn on a screen reader just so they could "hear" what various sites were saying. Since a majority of the users in the room at that time had Macs, loading VoiceOver was quick. They started VoiceOver... and then things got interesting. As I watched people's faces, I could see the curling of lips, the furrowing of brows, and the nervous laughter pop up at points. The blast of electronic voices that erupted from system speakers was very enlightening, and watching a roomful of people realize just how difficult it was to listen to the output of their favorite sites made it crystal clear how hard it was for sight impaired users to get useful information from an average web site (or at least, a site that hadn't made considerations for accessibility). 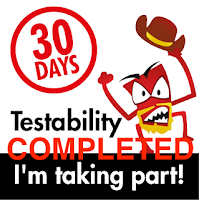 This coming Saturday, we will be doing a session on screen readers with Weekend Testing Americas. I'm suggesting Mac users configure VoiceOver, and PC users download NVDA. 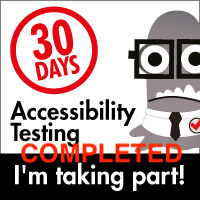 This session will be an introduction to Accessibility through the use of Screen Reader applications. My goal is to give people a chance to play with these features on common sites and see how well those sites make the general information on the page accessible to users, and how much useless information they receive. We will use these examples to have a discussion about how to address issues related to Accessibility, as well as building a case for making Accessibility part of an overall testing strategy. If you would like to join us on Saturday, please send a request to “weekendtestersamericas” to add your SkypeID. In your request, mention that you want to join this Saturday’s session. On Saturday, twenty minutes before the start of the session, please contact us and ask to be added to the session, and we will do so. Here's hoping you can make it ;).